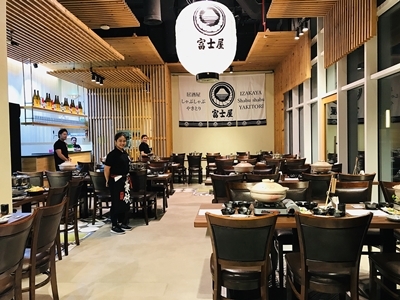 The Millennium Airport Hotel Dubai has announced the opening of one of Japan’s most acclaimed restaurants ‘Fujiya’. The outlet will provide an authentic Japanese izakaya-style dining experience from Japan. Available on the menu are a range of iconic traditional and modern dishes from the country ranging from Japanese tapas to Wagyu shabu shabu (hotpot) buffet, Yakitori (Japanese style chicken skewers) and much more. The dishes are complemented by an array of beverages including rare sake, yuzu and shiso. Mr. Simon Moore, General Manager of Millennium Airport Hotel Dubai, said, “We are very proud to add another speciality restaurant to our superb portfolio of dining venues. We are confident Fujiya Restaurant will provide a unique experience to our guests reflecting Japan’s diverse and rich cuisine while giving them greater choice. Fujiya Restaurant is open daily from 12noon to 2am.